Yes, okay, I admit it, I am getting a little kick out of this pile of books on my desk. 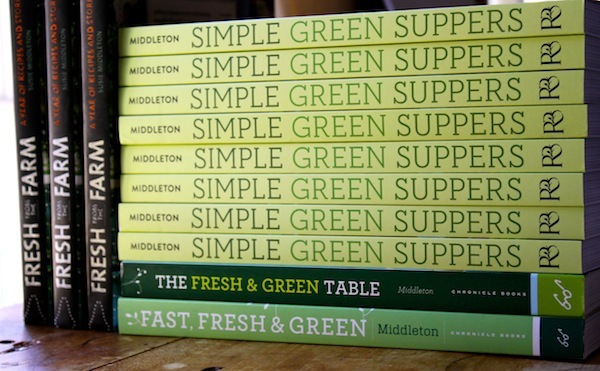 Those copies of Simple Green Suppers are “author” copies to give to all the many people who contributed to the creation of the book. But I am just going to stare at them for a while. I have them stacked up that way so that I can see the beautiful spine that the talented book designer, Toni Tajima, created. And also, of course, just to remind myself that somehow I’ve managed to write (and deliver to my publishers) four books over these last nine years. I never would have predicted that when I left my job as editor of Fine Cooking magazine in January of 2008. Heading into my tenth year of living on the Vineyard—and the publication on April 11 of that fourth book—I am feeling ridiculously nostalgic and grateful for this supportive, energetic, talented, and yes, tight-knit community I live in. Take, for example, this launch party we’re having next Sunday afternoon, April 9. First off, you have to know that my editor at Roost Books (in Boulder, Colorado; they are an imprint of Shambhala Publications), grew up on the Vineyard. Her name is Jennifer Urban-Brown. As it happens, Jenn offered me a contract for my fourth book not long after she offered another Island author, Sarah Moriarity Waldman, a contract for her second book. (Sarah’s first book, Little Bites, was with Roost, too.) Then as it happens, both Sarah and I chose (with Roost’s approval) to work with talented photographers, Elizabeth Cecil (Sarah) and Randi Baird (me), who are based on Martha’s Vineyard, but work and publish nationally as well. One of those friends is another published author, editor, and radio host who happens to be the first (well, second) person I ever met on this island. Her name is Ali Berlow. Ali was the founding Executive Director of Island Grown Initiative, a non-profit supporting local farmers, (Randi Baird is a long-time board member and director as well) and founder of Edible Vineyard. 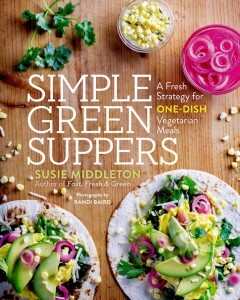 And she is the author most recently of The Food Activist Handbook and is working on a new radio podcast, The Gleaning. Two weeks ago, with the event mostly planned, we learned we would need to change locations, as our bookstore, Bunch of Grapes, was going to be moving (only down the street, fortunately.) So we began to quickly look around for another space—the Ag Hall, the libraries, a theatre. Then we thought of a special place that happens to be owned by none other than our editor Jenn’s sister. (I told you the Island was small—forget six degrees of separation, it’s more like two.) Emily Coulter is the owner of the most enchanting floral shop you could imagine—Morrice Florist. And Morrice Florist also has a big solarium space—big enough to fit a crowd. Emily was happy to accommodate us, and Roost has ordered up chairs and refreshments. Now all Sarah and I have to do is make several dozen nibbles from our books, and arrive on Sunday ready to talk and sign. 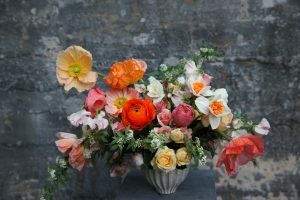 Randi and Elizabeth will be there, of course, as will many friends and artists in the community who worked directly or indirectly on our photo shoots or on recipe testing. Bunch of Grapes will be there selling stacks of books. And I will probably get a lump in my front and tears in my eyes when I see all the other friends spilling through the doors, friends who’ve made living on this Island, for me, a much bigger deal than a stack of books—no matter how alluring they are. A year ago this January, I hopped a very short fence. I went from eating not a lot of meat, to eating no meat at all. Technically, I became a vegetarian, though I have eaten the occasional fish or shellfish when it has been offered to me. 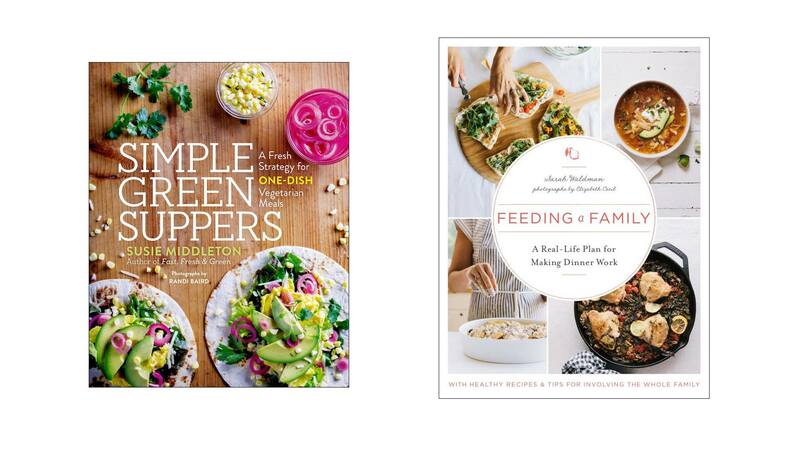 Now that I am in the thick of writing and editing the text and recipes for my vegetarian cookbook (which will come out in Spring 2017 from Roost Books), I am thinking hard about strategies and tips for readers. But I am also thinking about what fun I have had developing the recipes—how the creative challenge for this book has been the best yet, because it is has essentially given me a blueprint for eating. I can’t wait (though I must—and, ahem, I must also finish the manuscript, complete the last photo shoot, and a list of other things…before it even gets to my editor!) for the book to come out so that I can cook from my own recipes every night. 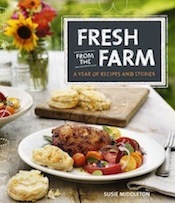 And sadly, I won’t be able to share any of those recipes with you until we get close to publication. But I thought for those of you who are contemplating a shift, it might be interesting to share with you what one vegetarian really eats. (And I say really or actually, because this is not theoretical. 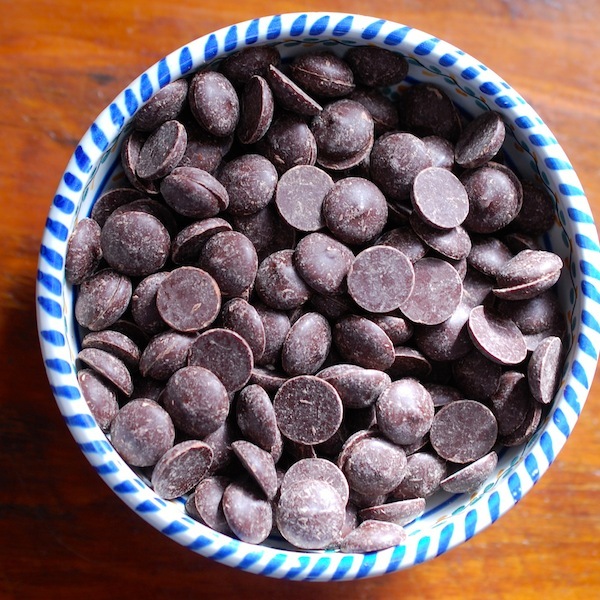 Since I, like most year-round Islanders, cook the vast majority of my food at home, this is truly what I eat.) Remember, I’m not a nutritionist—my gig is cooking technique—and I’m only one person, so take it for what it is. Nuts. Toasted. 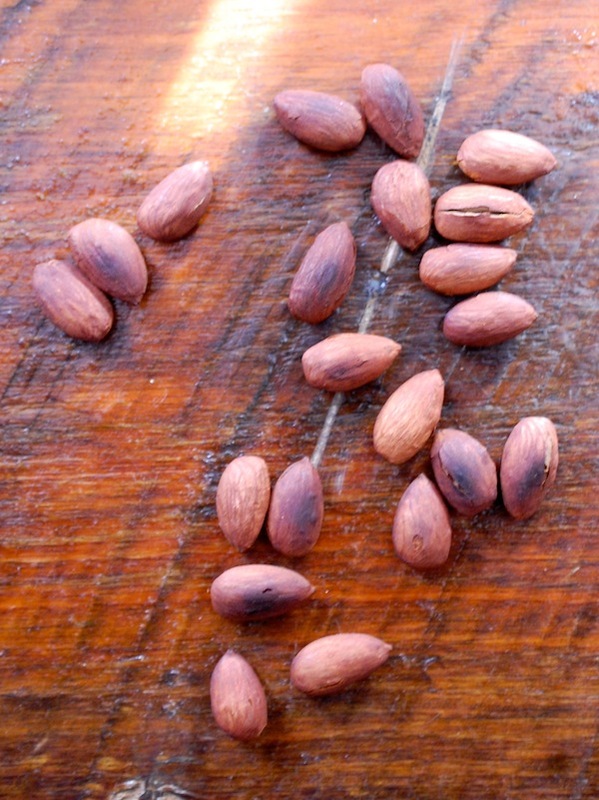 Toasted nuts have an almost cocoa-like umami thing going on, so they taste delicious and are very filling. Almonds are at the top of my list, with pecans and walnuts next. I stock pine nuts, hazelnuts, and, of course, peanuts and natural peanut butter. 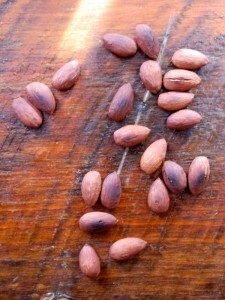 (Pepitas, too, which are seeds, not nuts.) I use nuts not just in salads, but in grain and bean dishes, too. Chickpeas. Sheepishly, I have to admit that, like a lot of vegetarian converts, I have fallen totally in love with chickpeas. (I’m simmering a pot on the stove right now on this first snowy day in January, though I stock canned chickpeas, too.). In addition to the great flavor and rich texture, chickpeas have a distinct advantage over most other beans and legumes—they hold up well in all kinds of cooking. In fact, you can even brown them by sautéing or roasting; and as you know, I love browning because that means caramelization and extra flavor! Lentils. While I eat all beans (always soaked first before cooking, or canned), I’ve become more of a fan of lentils in the last year. For one thing, they cook very quickly—in less than 20 minutes in many cases. Secondly, you can now find black Beluga lentils and small French green (DuPuy) lentils in many more grocery stores, and I find the firmer texture of these more pleasing than that of the larger common brown lentils. 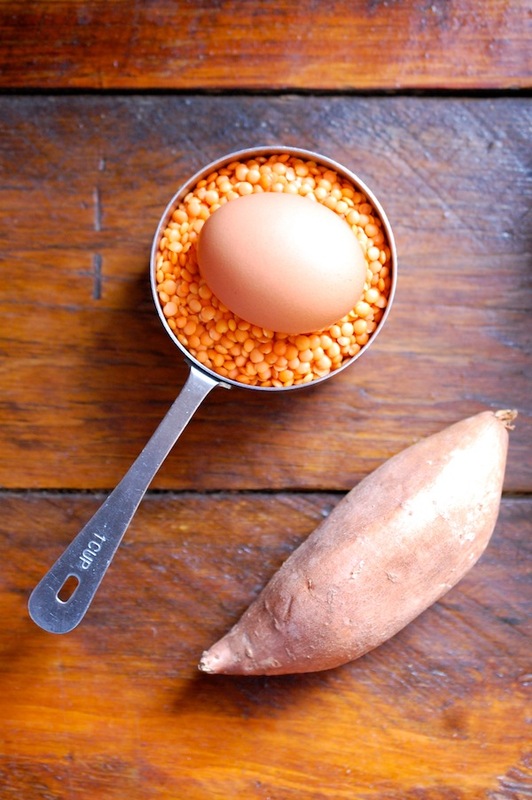 Red lentils are also quick and delicious in soups and porridge-like dishes. 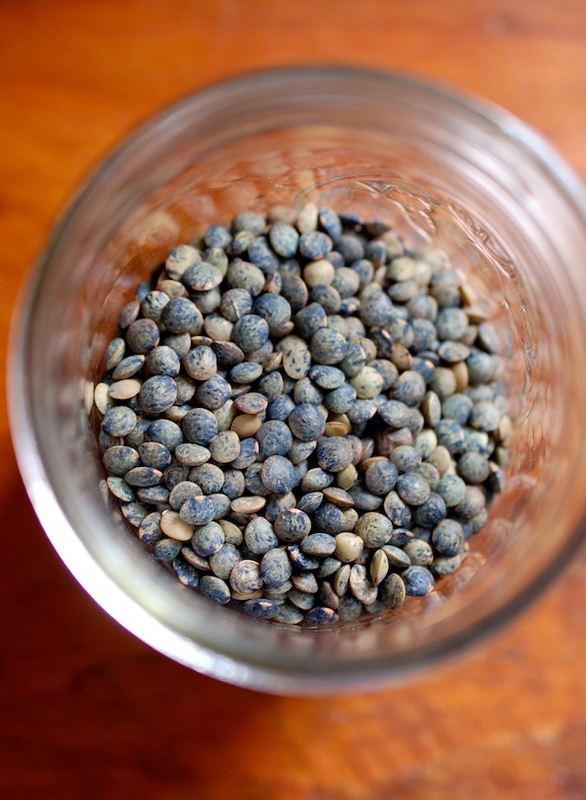 And all lentils have assertive flavors that go well in soups, salads and sautés. 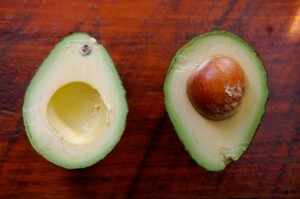 Avocados. Yes, I know we think of avocadoes as a vegetable, but they are really something unto themselves (and technically a fruit), and I have to mention them because they have that uniquely rich and filling thing going on (good fat, don’t you know?). And, I eat a lot of them. On toast, in salads, with tortillas, in egg sandwiches. Alone with lemon and olive oil and salt. With chickpeas! And nuts! Grains. 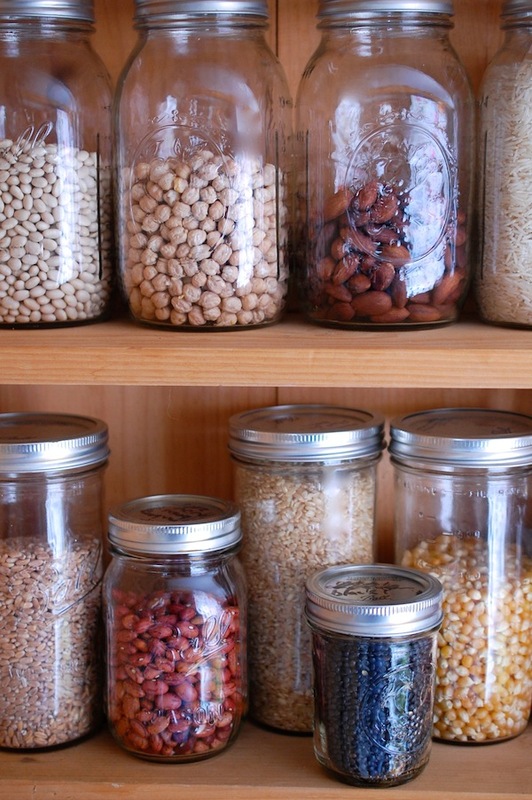 I’ve always been a fan of grains, but I like them and use them even more now that I’ve figured out I can cook them ahead and hold them in the fridge or freezer, and that I can use them sometimes almost like a condiment, or as one of many ingredients in a dish. Sitting down to a big bowl of grains can get monotonous. Putting some grains in a salad, a soup, a taco, whatever, is much more interesting. 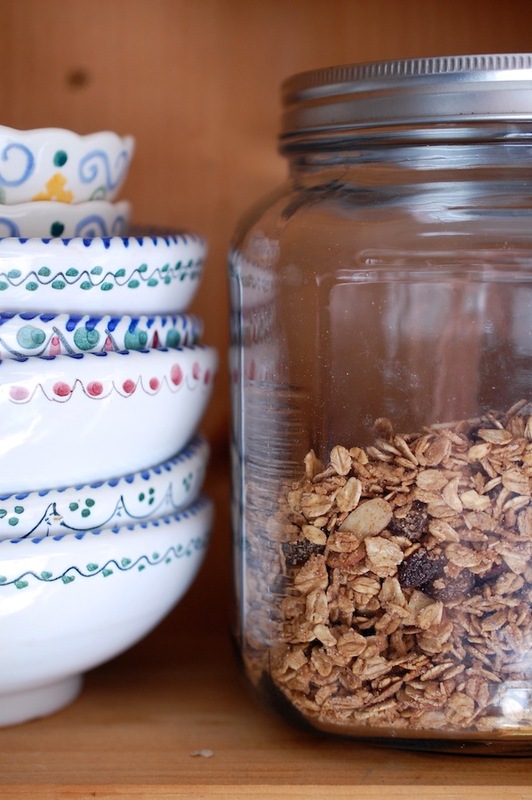 My favorites are wheat berries, farro, short grain brown rice, and oats (granola for breakfast!) but I stock lots of (gluten-free) quinoa, as well as millet and many different kinds of rice. Eggs. I’m not vegan or dairy-free, so I still turn to eggs for some of my protein. (That may change at some point, but for now, I’m an egg eater.) The best thing about an egg (like a lot of these ingredients that play well with others) is that you can add one to just about anything. Sure, you can make a meal just on eggs, but you can also add an egg to a grain or bean dish, a broth or a sauté. Those are the things that I most often pair with vegetables to make my meals. (Remember, vegetables have protein, too.) I do eat pasta and bread , too, though I choose whole-grain when I can. And again, I often use these carbs in smaller amounts rather than in starring roles. But there’s nothing like a great piece of artisan multi-grain toast for transporting any number of veggie toppings to a great destination. As for the vegetables themselves, I eat leafy greens every day. 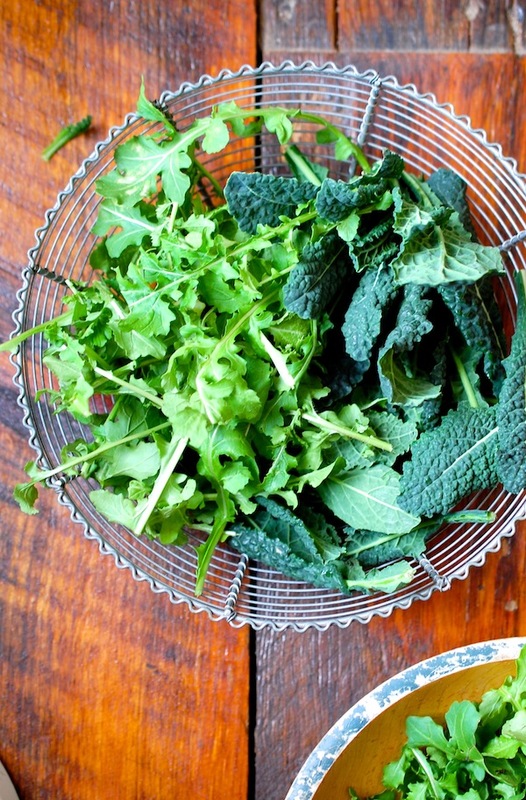 They are the easiest, quickest, and most flavorful vegetables to make a meal with. 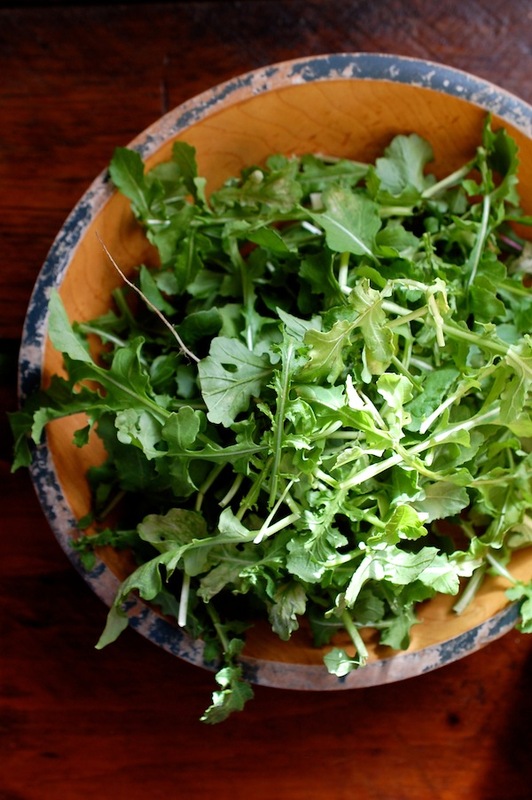 (The arugula in this picture was taken from plants still growing under hoops outside.) Alliums of all kinds (onions, shallots, garlic, scallions) make their way into almost everything I cook, and my fanaticism for tomatoes extends to this time of year with roasted tomatoes in the freezer and sundried tomatoes in the fridge. This time of year I also gravitate towards colorful root and winter vegetables like carrots, sweet potatoes, and butternut squash. 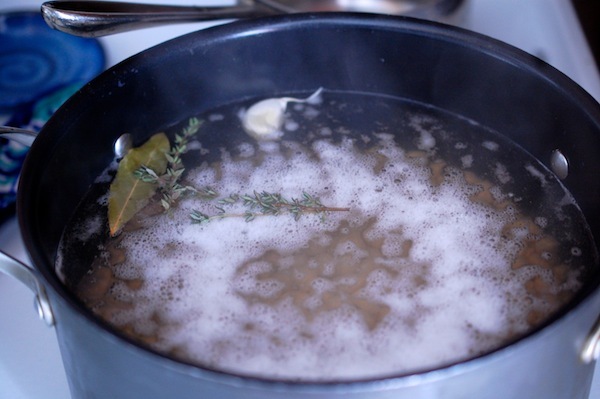 Along with the aromatic ingredients I always keep around—citrus, fresh ginger, vinegars, hot sauces, spices, maple syrup and honey, miso, tahini, tamari, parmesan cheese—and any fresh herbs I can procure (my rosemary pot is indoors, still alive, for now! ), I eat well.